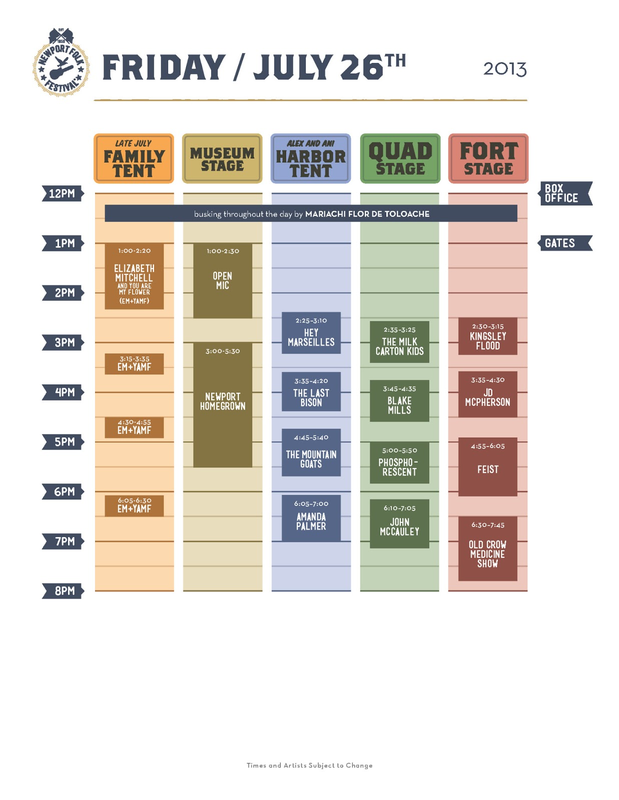 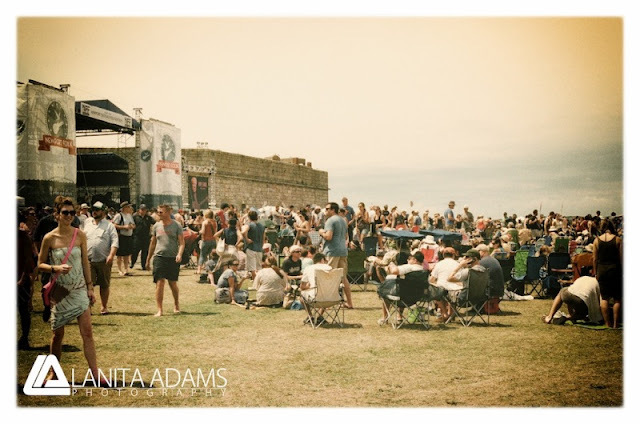 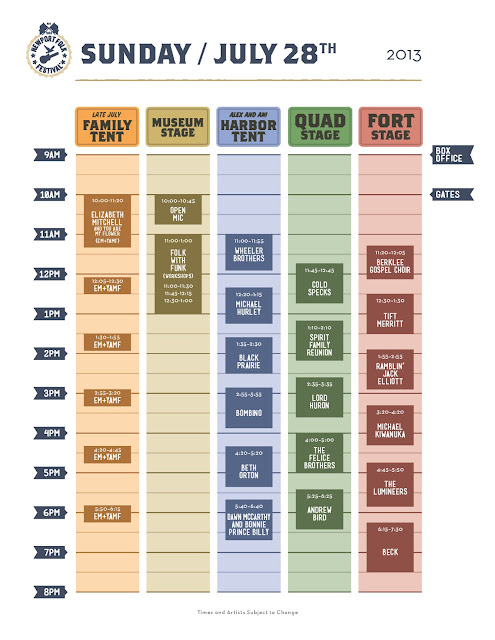 The Newport Folk Festival released their schedule over the weekend. So much to choose from ... time to start plotting my stage hopping. 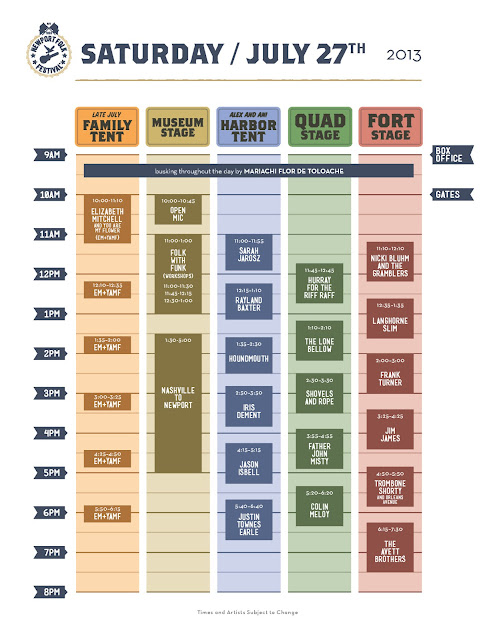 Check out the schedule below and click on the images for full-size printable versions.